Are you a diehard upland game or waterfowl hunter? 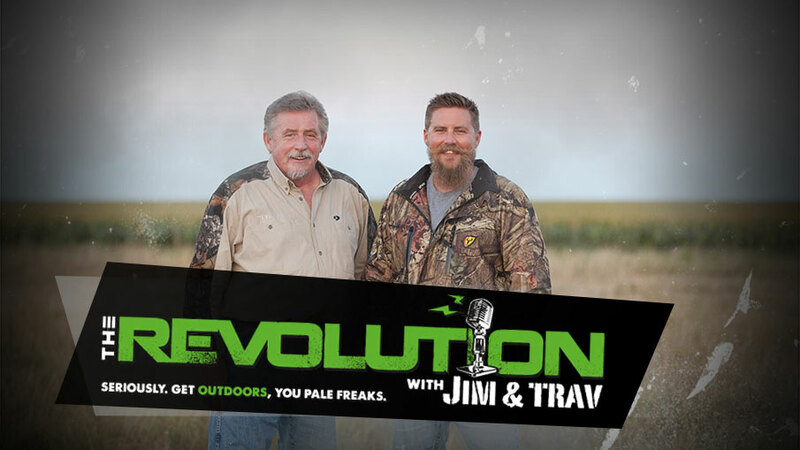 This week on The Revolution with Jim and Trav that's presented by Outdoor Channel, it's an "Aerial Assault". Tune in for tips and advice from our panel of pros' to help you fill your bag limit. Bruce Horrell is the host of "Gun Dog TV" premiering on Outdoor Channel in January 2016. This week Bruce will explain why birds dogs are an essential tool for all bird hunters and how it makes them more productive and ethical hunters. He'll also talk about popular breeds, whether you should have your working dogs professionally trained or do-it-yourself, and why working dogs should also be family dogs. Tune in for more! A bird hunter is only as good as the firearm he's carrying. This week Matt Ohlson, Senior Product Manager at Remington joins Jim and Trav to dish on three different models: V3 Field Sport, Versa Max Sportsman, and the best selling Model 870. Tune in for a detailed look at the different features of each model and how you can the one that is right for you. J. Paul Jackson is the host of "Drake's Migration Nation" on Sportsman Channel. This week he will give listeners a guide of his top 3 waterfowling don'ts. Find out why you should blow your call a little less, why you should conceal more and why still water will foil your success. He'll also discuss decoys and how to achieve maximum effectiveness by switching up your spread every time you go out. He'll also talk about this season of "Drake's Migration Nation" and some changes they've made to bring the viewers a firsthand look into the blind with great waterfowl hunters in the country to learn their successful strategies.